We are about to head back to Roatan, Honduras for the 3rd time. Three years in a row, we love it so much. When we go to Roatan we stay in a rental house just a few steps from West Bay Beach. If you’re looking for a rental home on Roatan island, we recommend VRBO.com and Casa de Paradise. I’ll have a post up about them soon. The soft white sand beach is beautiful and one of THE cleanest beaches we have ever been to. The water is warm, the perfect temperature and crystal clear. 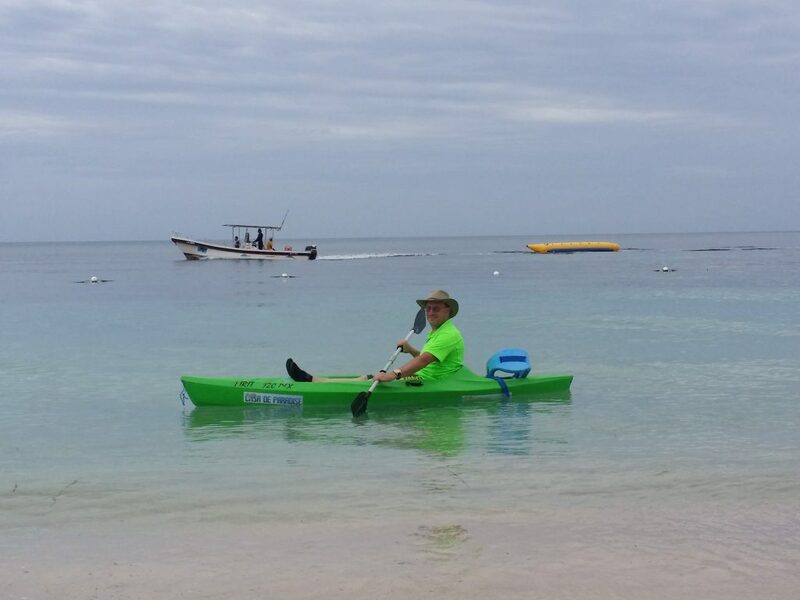 It’s a great place to snorkel and kayak. Plus a lot more activities available up and down the beach. Check out some of the shops too. And my favorite part? Palm trees of course! The first time we went to Roatan, we were there for 2 weeks, the second trip was a week long and we are heading back very soon for another week. The one thing I don’t care for, is the constant nagging from vendors and massage and hair braiding ladies. Now that they know us, the nagging has lessened but I do understand they have to make a living some how. The best part about West Bay Beach is that you can go snorkel right from shore. You will see all kinds of lovely underwater creatures from barracuda, puffer fish, turtles, starfish, rays and more. We find something new every time. Don’t feed the fish and be sure to take a snorkeling test before going out in the water to snorkel if it’s your first time or you need a refresher. Some people might think it’s ‘silly’ to take a snorkeling test but if you see the reef you’ll see exactly why we recommend it before heading into the water. If you think it’s OK to stand on the reef you are mistaken. The reef will die so PLEASE don’t. Tip: Buy your own snorkel equipment in the states and never have to worry about renting. We snorkel a few times a day, ever day on vacation so it’s definitely worth it for us. Make sure to hit up Beachers & Bananarama for sure to have a bite to eat. 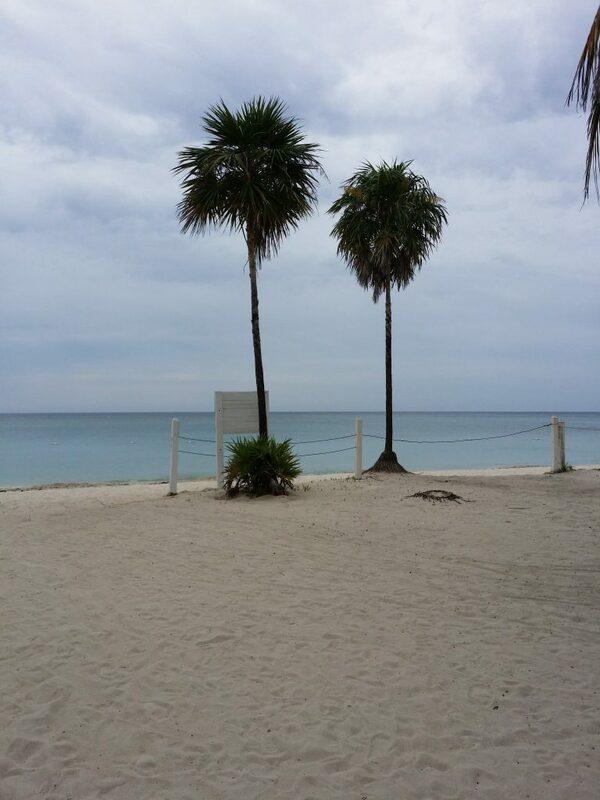 If you’re looking for a hotel/resort on West Bay Beach, I would recommend Bananarama, Mayan Princess or Grand Roatan. We have toured all but Grand Roatan. The hotel I really love is not on the beach but up in West Bay a short walk down the road next to Bananarama called West Bay Lodge near West Bay Mall. If we didn’t stay in a rental West Bay Lodge would be my top choice with Bananarama coming in second. And I should bring up the question I hear about sand fleas. Before we went to Roatan the first time, I heard the sand fleas/noseeums were really bad there. I always come prepared for those buggers since having a very bad reaction in Jamaica. Who knew I was allergic to them? I have had no issues in Roatan. I come prepared every time though and the product I have found that has worked the best is Cactus Juice. I highly recommend it. 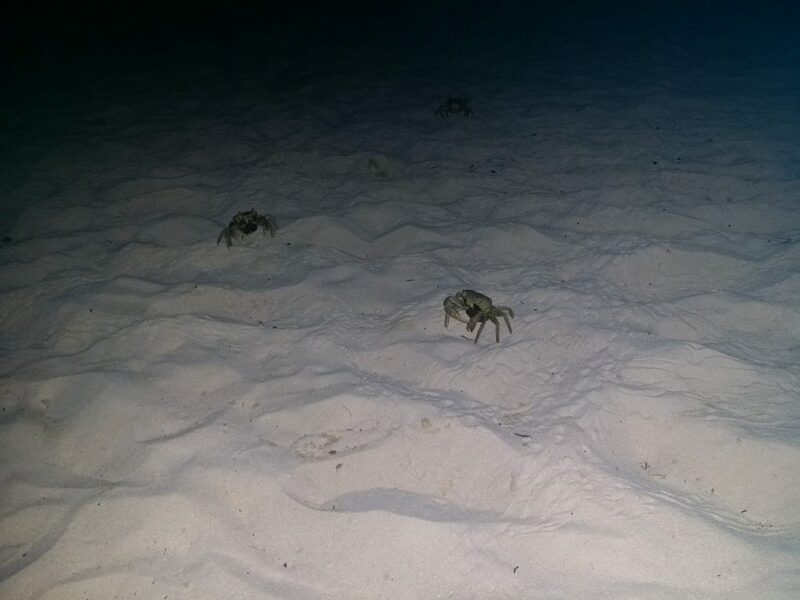 Speaking of little creatures, I love the crabs that run around on the beach at night when it’s dark. They are every where so be on the lookout. I have a video somewhere but I can’t find it. I’ll have to add it here when I do but until then here’s a picture of them. So hilarious. You’ll want to grab an empanada or 4 from one of the guys walking up and down the beach with the cooler. I don’t eat meat so he fixes me right up with a cabbage salad and dressing. Yum! Milton the Banana Donut man and his wife are adorable. You’ll find Milton walking up and down the beach throughout the day selling banana donuts. Kev loves the homemade donuts he buys from him so we totally support him. I would also like to mention the travel warnings. There is violent crime every where you go. 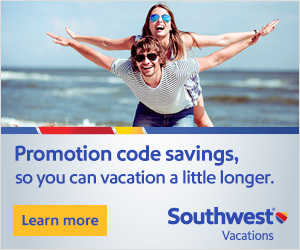 No matter where you travel or right in your backyard, there is always the chance of crime. Here are a few tips from us about traveling to other countries in particular West Bay Beach. Lastly be sure to take in some of the evening sunsets. Breathtaking! 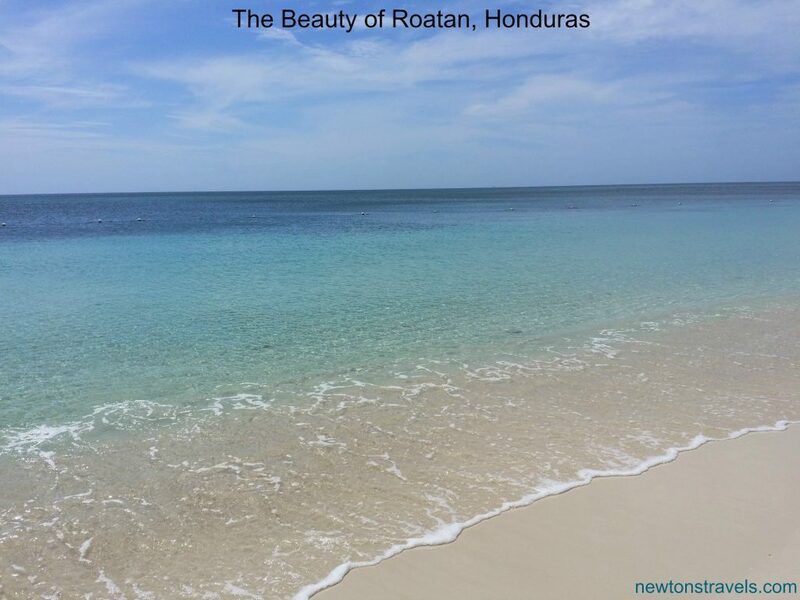 We highly recommend staying on or near West Bay Beach in Roatan, Honduras. If you like the laid back island vibe, you’ll love it. If you have any questions about Roatan and West Bay Beach, don’t hesitate to reach out to us.